Much-loved Australian homewares/lifestyle brand Pony Rider launched the new season collection 'Take Me Home' last night and of course everything is fabulous. Some themes like the Bambi deer in headlights make a return, and there is a super-cool floral on textiles including a pouf. Wait until you see the caravan cushions and throws! 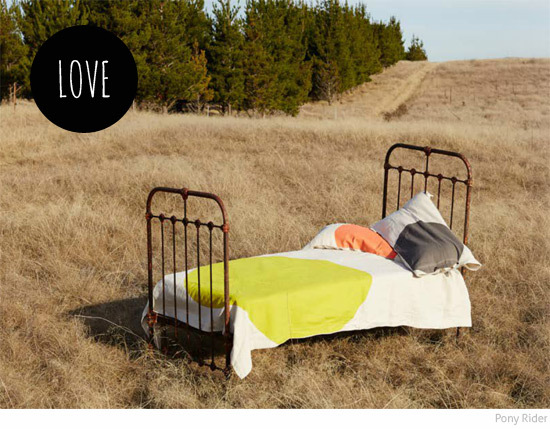 I particularly love this stone washed linen doona set that would be great for an older child or teenager. Available soon in the Pony Rider online store and select stockists.